Powderhorn's bike park is set to open June 24. The Rockies offer a little something for everyone after the snow melts. From beer, music and food festivals to mountain biking and trail running competitions, Colorado Ski Country ski areas are taking advantage of the off-season. 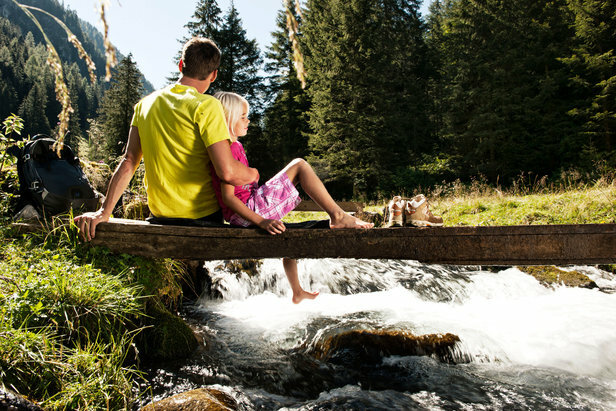 Whether you’re participating or just observing, there’s a good chance there’s some fun in the sun happening near you this summer. 1.) Dirty Girl Mud Run, Copper Mountain – June 10: This 5K race will benefit Boarding for Breast Cancer and is one of the largest women’s only mud runs in the world. 2.) Powderhorn Mtn. Bike Opening, Powderhorn Mtn. Resort – June 24: Check out Powderhorn’s new downhill trail and hit the base for some live music and food afterward. 3.) Outerbike, Crested Butte Mtn. Resort – June 27-28: Outerbike is one of the largest consumer bike shows around. Did we mention you could ride the Evolution Bike Park while you’re at it? 4.) Steamboat Opening Weekend, Steamboat – June 30: Base area operations will be open for business, including the Coca-Cola Adventure Zone, ropes course, summer tubing, mini-golf and more. 6.) Colorado Freeride Festival, Winter Park Resort – July 27-30: CFF features over 1,700 race starts in four mountain bike disciplines. 7.) 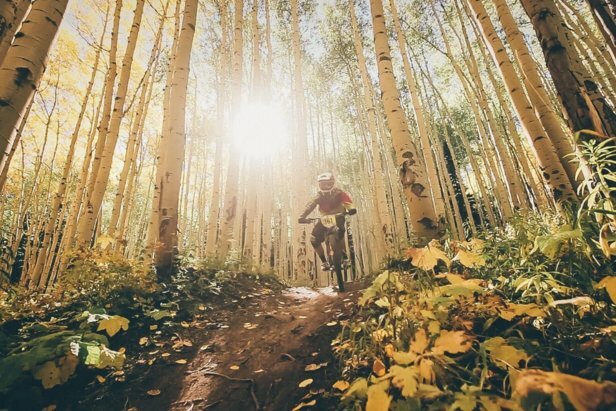 Enduro World Series Mountain Bike Race, Aspen Snowmass – July 30-31: This two-day event brings the world’s best to center stage for the only U.S. stop on the Enduro World Series. 8.) Telluride Jazz Festival, Telluride – August 4-6: Head to the heart of the San Juan mountains and indulge in events, including Wine & Whiskey, a new Jazz Art Walk and a closing show, The Final Waltz. 10.) Birdies, Bogeys & Bloodies, Arapahoe Basin – August 5: Just like the name suggests, this event is geared towards the disc golf and Bloody Mary aficionado. Register for the 9-hole tournament or just come for the live music and drinks. 11.) Audi Power of Four Trail Race, Aspen Snowmass – August 5-6: Although a variety of races are offered, the event’s signature race is a challenging 50K Ultra. 12.) Local Brew Fest, Arapahoe Basin – August 12: Sample tasty brews from several Colorado breweries and enjoy live music and free chairlift rides from 11 a.m. to 3 p.m. 13.) Gears and Beers, Powderhorn Mtn. Resort – August 26: Beer, bikes, live music, games for kids, prize giveaways and free camping. Need we say more? 14.) 2017 Under Armour Mountain Running Series, Copper Mountain – Sept. 9-10: Test your lungs against the thin Rocky Mountain air with races, including a 50K, marathon, half marathon, marathon relay, vertical challenge, 10K and 5K. Each race is geared for professionals and novices alike. 15.) Telluride Festival of Cars and Colorado, Telluride – Sept. 21-24: For the automobile guru, this festival displays high-end restorations, vintage and exotic vehicles across three venues over four days. It's tough to shop for the guy who has everything. Get dear ol' Dad something he really wants with this Father's Day gift guide.